Willian will not be leaving Chelsea before the transfer window shuts tonight, despite being linked with Paris Saint-Germain, it has been claimed. The Brazilian has been linked with a deadline-beating-big-money switch to PSG, as the French champions look to end the winter window on a high note. However, according to Italian broadcaster Mediaset Premium, Willian will not be moving and will be continuing at Chelsea beyond the transfer deadline. 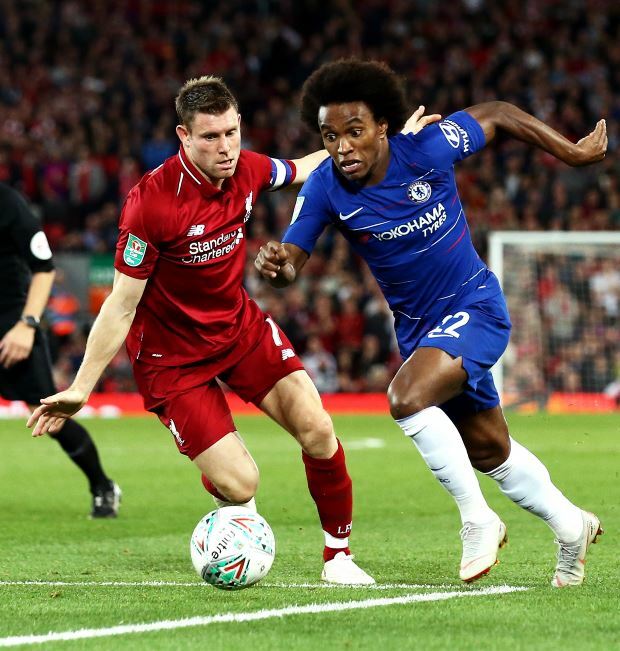 Willian was a second half substitute during Chelsea's 4-0 drubbing at Bournemouth on Wednesday evening and remains in Maurizio Sarri's plans. The Brazilian has regularly been linked with finding the exit door at Stamford Bridge over the last year, with Barcelona mooted as suitors. But he is poised to stay at Chelsea and continue to help the Blues in their fight to finish in the Premier League's top four this season. Chelsea have now dropped down to fifth place following their loss at Dean Court.